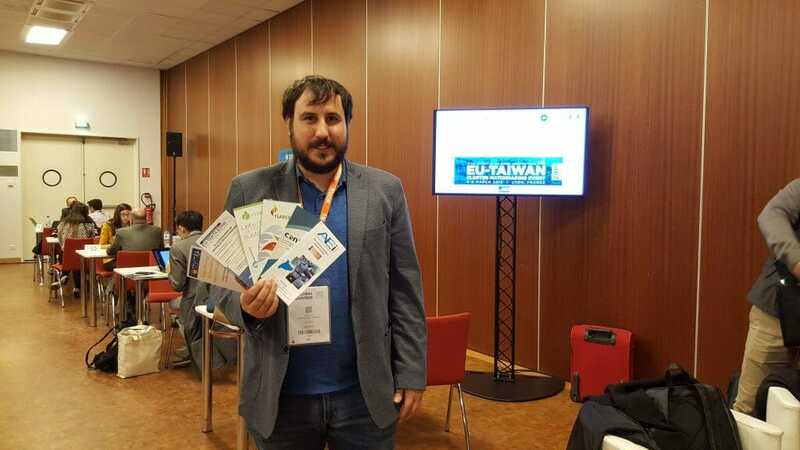 AEI Tèxtils, the project coordinator of MIDWOR-LIFE, attended the EU-TAIWAN Cluster Collaboration Event which took place in Lyon on March 6th and 7th in the framework of Industry 4.0 International Days 2019 held during the Global Industrie Trade fair. During the matchmaking session, AEI Tèxtils distributed leaflets of the MIDWOR-LIFE project as one of the pillars within the cluster towards promotion of the sustainability in the textile sector. The event, organized by the European Cluster Collaboration Platform in representation of the European Commission, attracted over 200 participants, 23 of them were cluster representatives from different sectors at European level and 12 from Taiwan.